There’s nothing better than growing up watching classic Disney movies at home and then being able to see them come to life on stage. Take a look at our six favorite Disney musicals, and keep an eye out for upcoming productions near you. Influenced by Shakespeare’s Hamlet, The Lion King tells the story of Simba, a young lion who will one day become King of the Pride Lands. With music by Elton John and lyrics by Tim Rice, the Broadway musical premiered at the New Amsterdam Theater in 1997 before moving to the Minskoff Theatre in 2006, where it is still running today. She’s practically perfect in every way. This nanny flew into the West End in 2004 for a limited engagement starring Laura Michelle Kelly as Mary. After a successful run and an Olivier award for Ms. Kelly, the show transferred to Broadway in 2006. 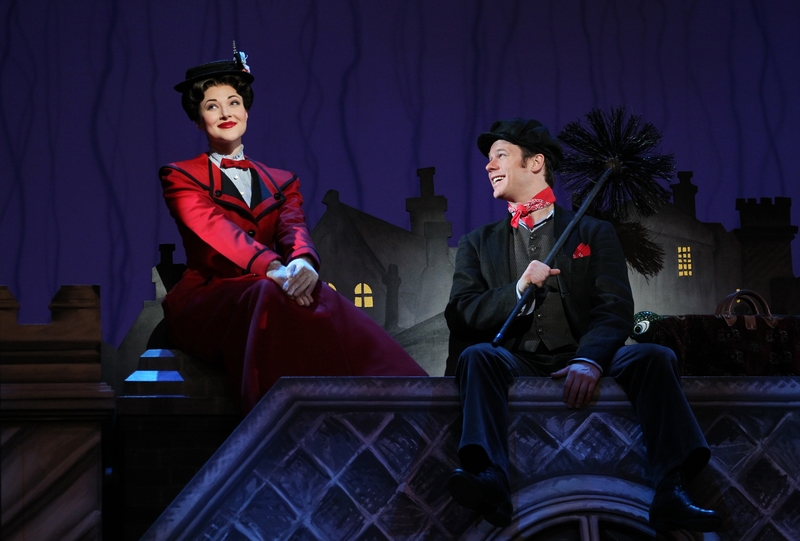 See Mary Poppins at the Olney Theatre Center now until January 1. 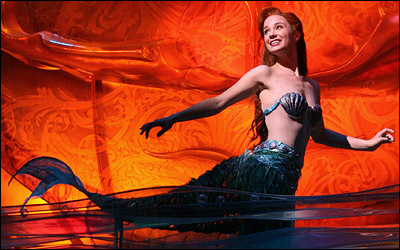 Only Disney would be able to bring a mermaid Princess to the Broadway stage. After successful runs for Beauty and the Beast and The Lion King, Ariel swam into the Lunt Fontanne in 2007. Although this production is no longer on Broadway it continues to tour globally. In 1994, Beauty and the Beast became the first Disney film to be adapted into a musical. It ran for thirteen years on Broadway and led to productions on the West End, Toronto, and continues to tour around the world. Seize the day! 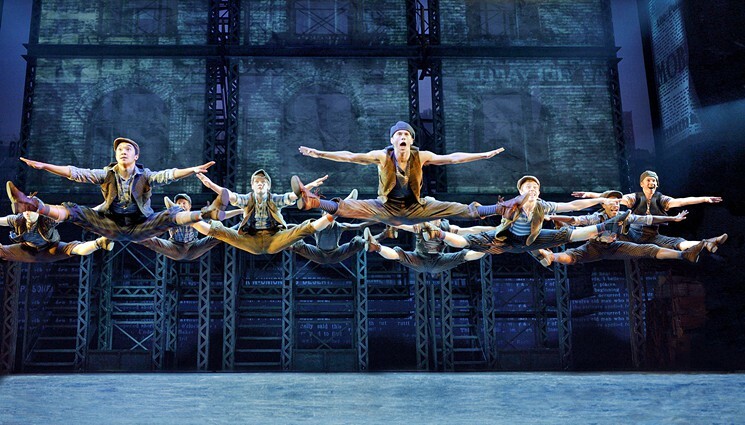 The 1992 Disney movie Newsies, starring Christian Borle and directed by Kenny Ortega, has had a cult following for many years. In 2011 fans were thrilled to hear that the musical adaptation would be premiering at the Paper Mill Playhouse in New Jersey. The show made its Broadway debut in 2012 and ran at the Nederlander theater for what was supposed to be a limited engagement, but due to high popularity, the show ran for 1,005 performances and closed in 2014. 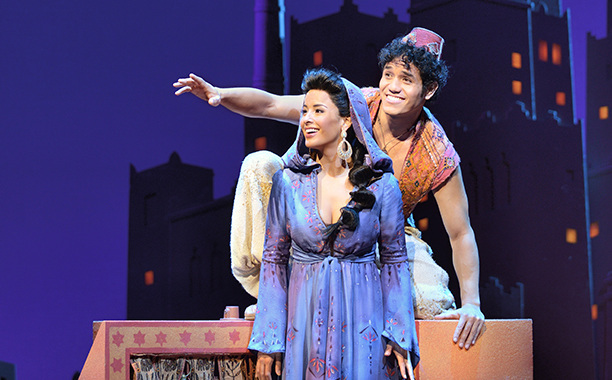 The musical version of Aladdin premiered in Seattle in 2011, had a pre-Broadway tryout in Toronto in 2013, and the magic carpet officially flew to Broadway in 2014. The Broadway production was nominated for five Tony Awards and won one for Best Featured Actor in a Musical which went to James Monroe Iglehart for his portrayal of the Genie. 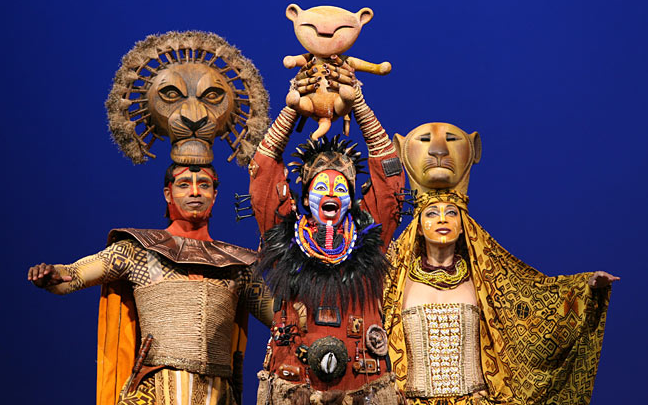 Do you have a favorite Disney show turned into a musical we didn’t list here? Let us know on Facebook or Twitter!